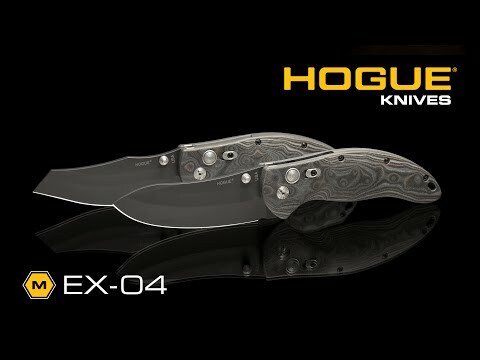 The Hogue Extreme EX-04 series folder is an Allen Elishewitz design that is reminiscent of his custom Hyde knife. 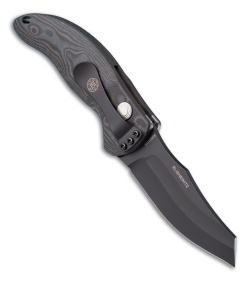 The blade features two hollow ground bevels, which add plenty of visual interest while maintaining utility. The blade comes out with precision and stays securely in place with the plunge-lock and manual safety. 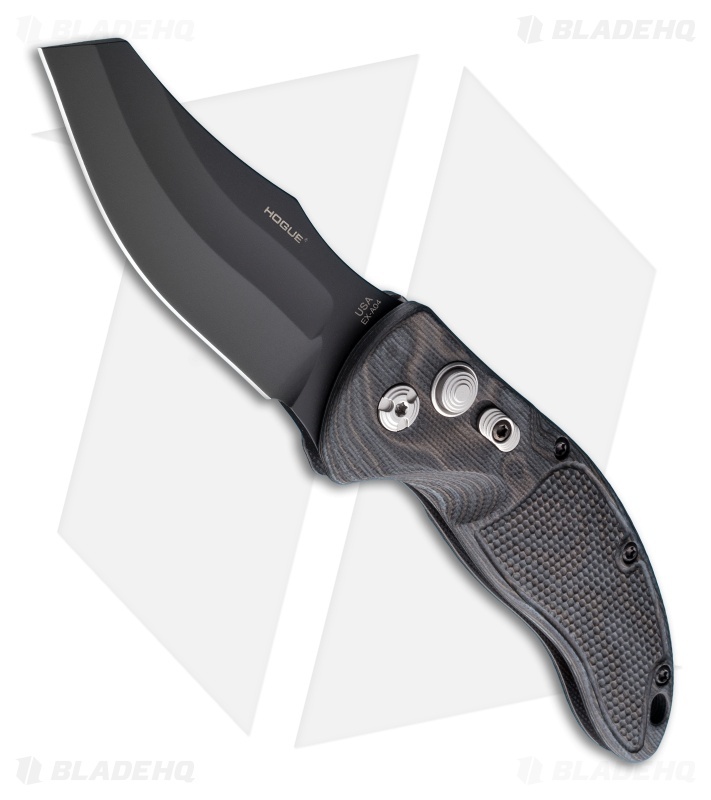 The handle is perfectly contoured for the ultimate grip and comes with a tip-down carry pocket clip. This EX-04 Automatic model has a 3.5" Wharncliffe style blade and Black/Gray G-Mascus handle.